Angry Birds Stella Animated Series! ♫Steeella Stellaaaaa!♫ Are you ready to see Stella and her superpowered BFFs in their own all-new animated series? Feast your eyes on the teaser below for a first look! The season premiere is on Saturday 1st November on ToonsTV, so be sure to tune in to find out what’s in store for this fierce flock of feathery friends! New episodes air weekly. Check out more flock-tastic vids on our Stella YouTube playlist! And if you haven’t played the game yet, what are you waiting for – get it now?! The Angry Birds Movie 2 – Enemies become frenemies in a new official trailer. More clues revealed about how these lifetime enemies are getting along after the first Angry Birds Movie. Pre-Order Angry Birds AR: Isle of Pigs now! The Hatchlings learn to fly – with JETPACKS! 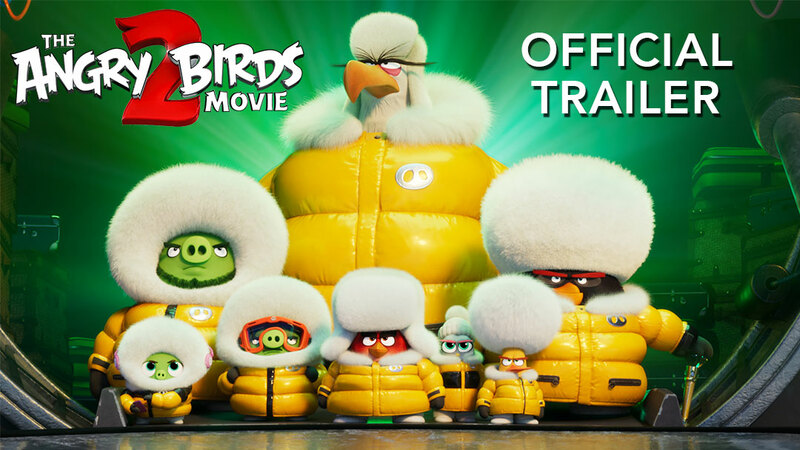 Watch the Angry Birds Movie 2 Teaser trailer! Angry Birds Dream Blast – Now Available Worldwide!